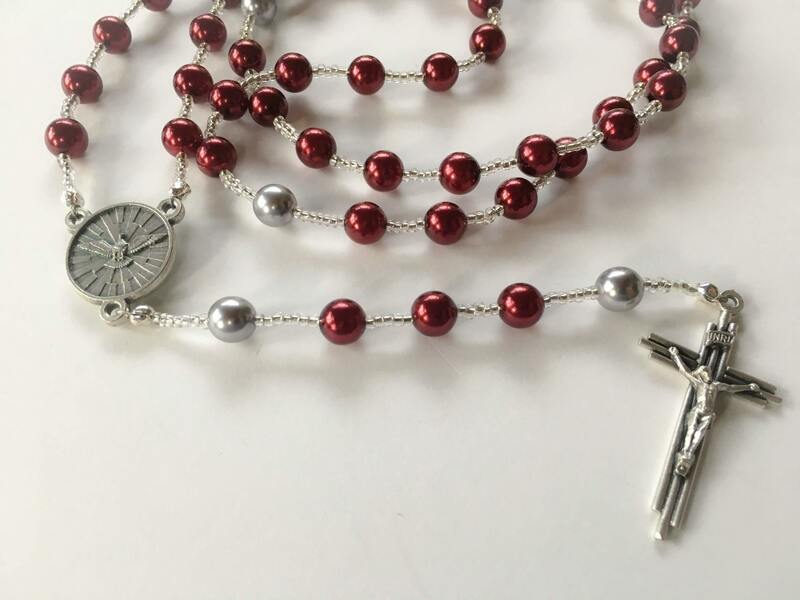 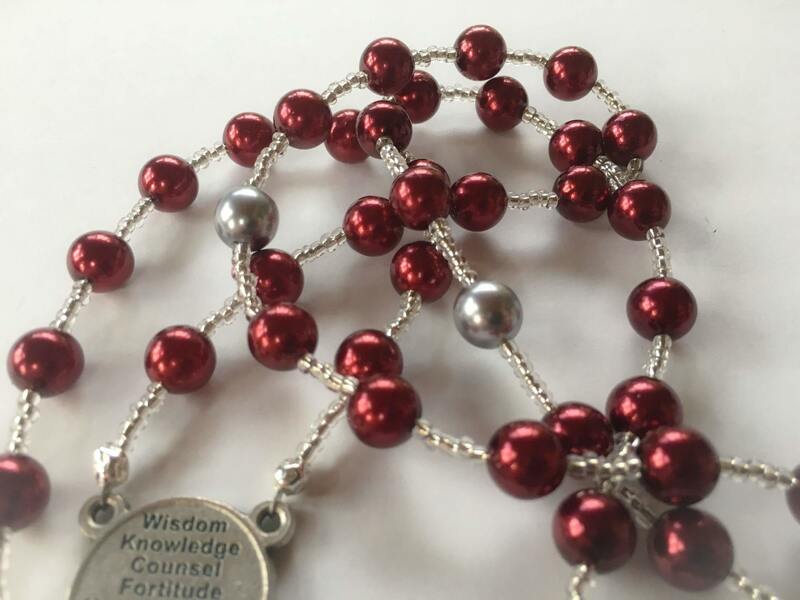 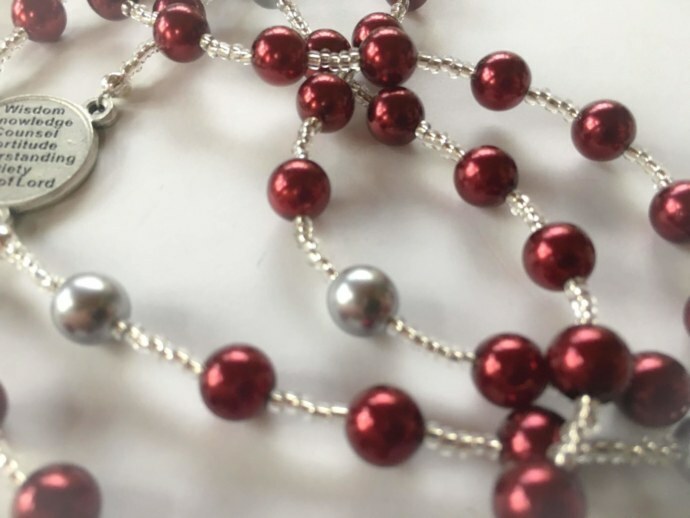 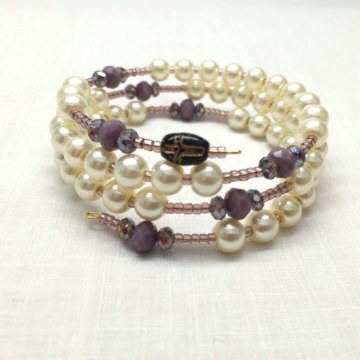 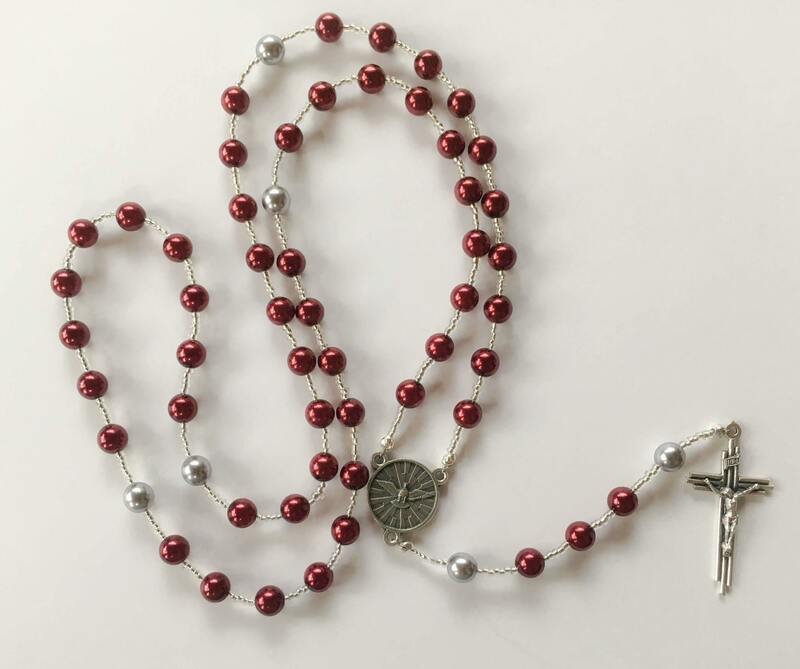 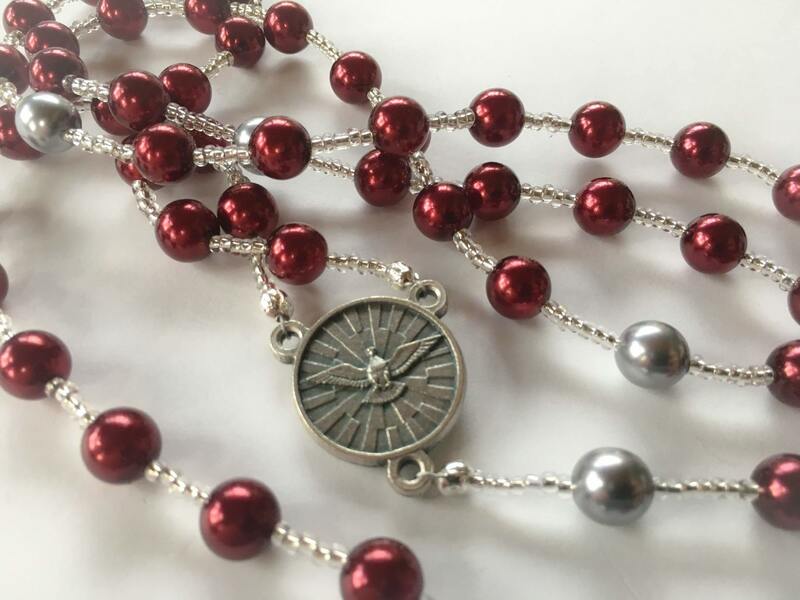 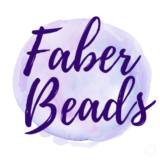 Pearls of crimson and silver and the Holy Spirit depicted as a dove will inspire you to have hope in the Holy Spirit as you pray Mary’s prayers with this rosary. 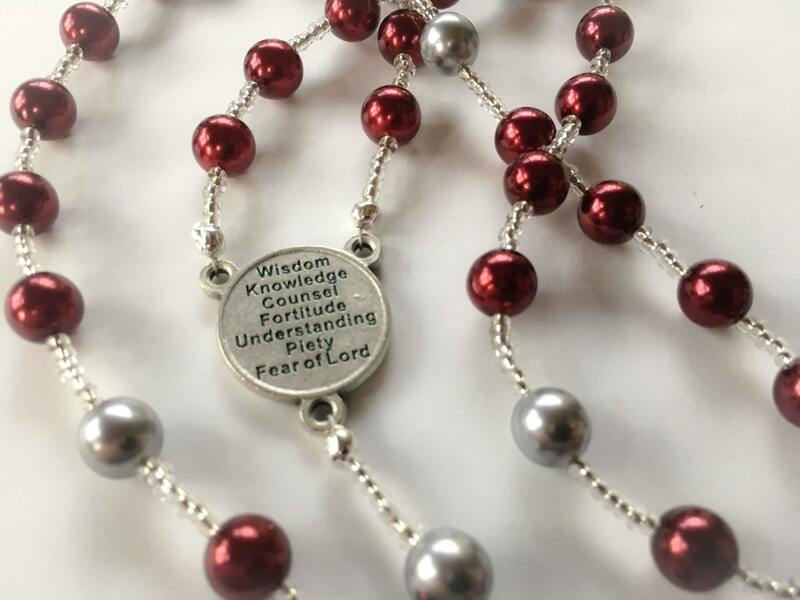 The back of the center lists the gifts of the Holy Spirit to meditate upon and to pray that they become ignited in you and those for whom you pray. 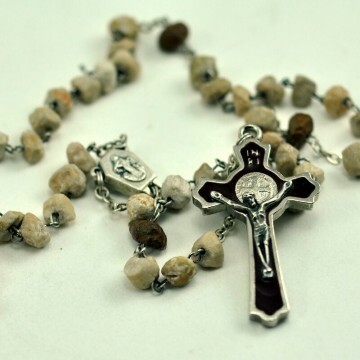 This rosary is 23 inches long and weighs just under 2 ounces.